Welcome at our weekly news blog. In a week where Saudi Arabia had to confess a murder pushed by Turkey, where US democrats receive bomb letters (or almost) and a real big whale stranded on Belgian shores, we still found some time to bring you quite a lot of new products. Also our Goods In was so busy we got also quite a bit of “Back in Stock” showed below. Slowly our BBT News team gets settled, but we still have to update more, so it will only become better! Follow and you will learn as they say, ah! 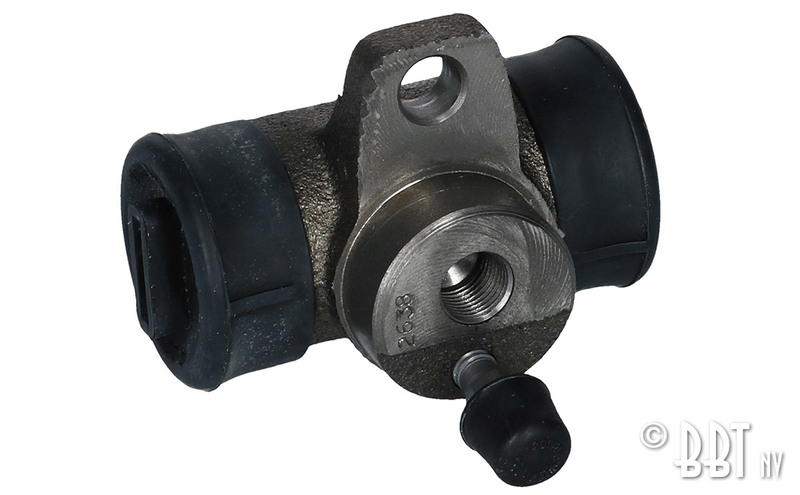 The perfect alternative on your Type 4 engine for worn out original carburetors or a malfunctioning fuel injection system is to mount a set of dual Weber ICT carburetors. 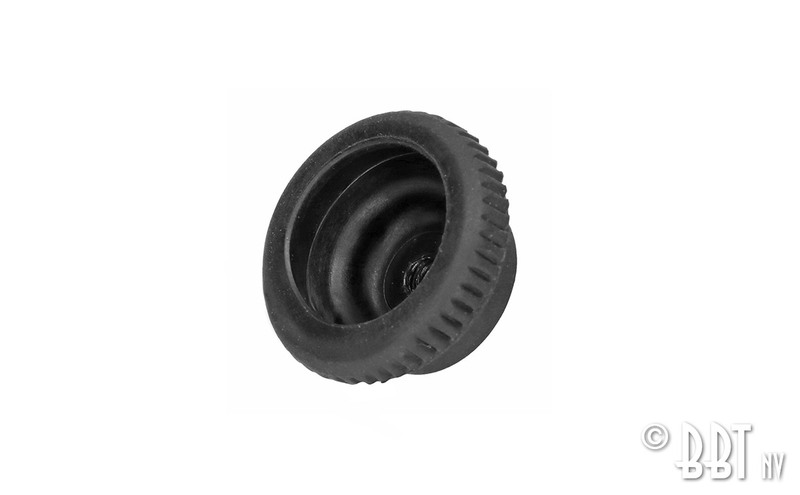 We supply now a one stop Weber ICT mounting kit. 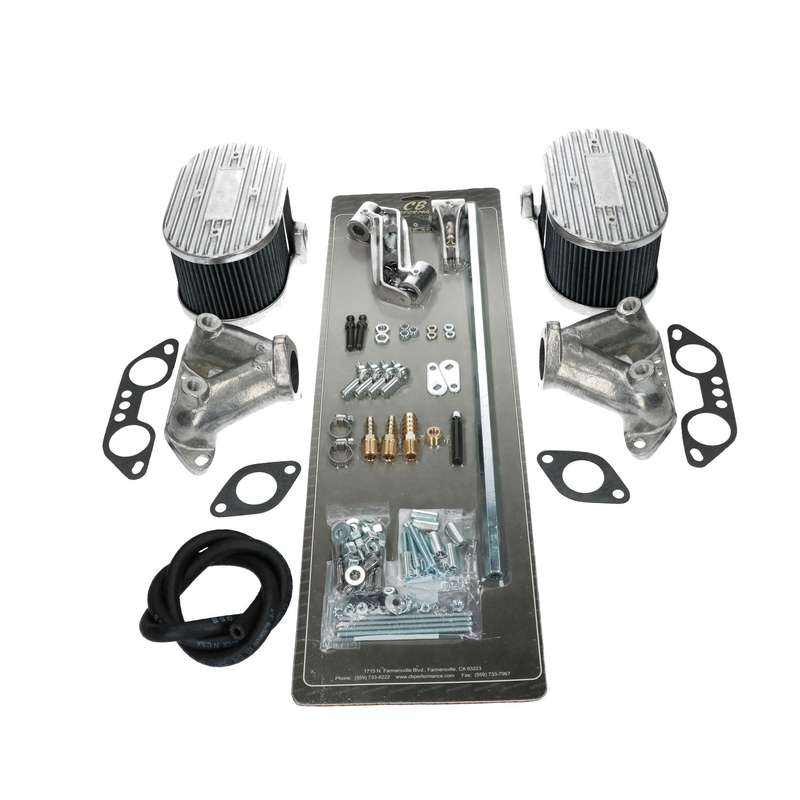 This CB performance ICT mounting kit for your Type 4 engine is very complete and nicely made with aluminum air filter bases, no flimsy plying steel brackets but nicely casted state of the art brackets instead! Not the cheapest but the best ICT mounting kit existing on the market. A conversion kit that really works, BBT tested and approved! 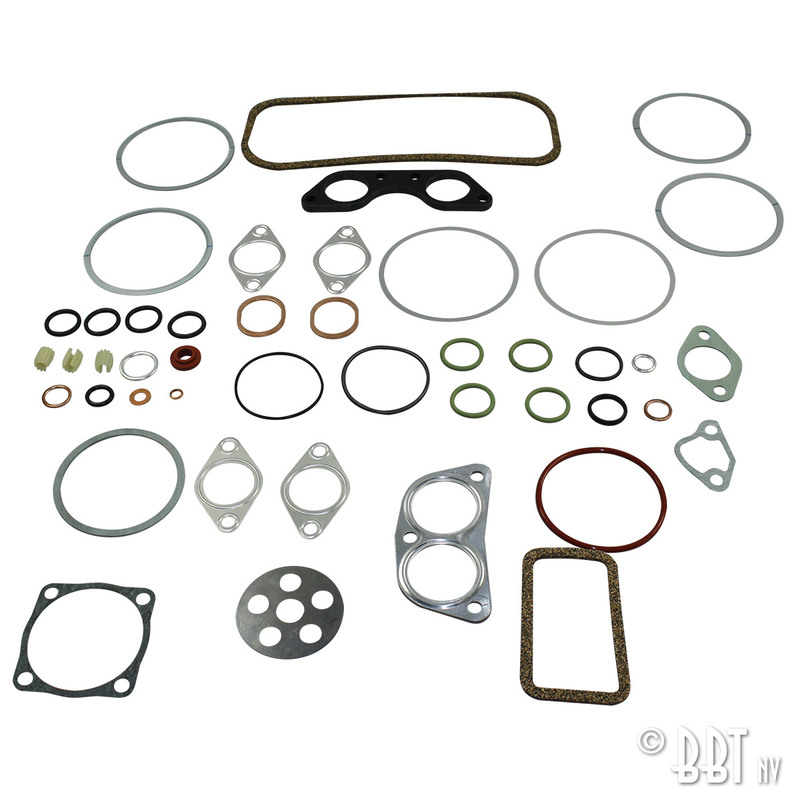 This conversion kit will help your conversion to ICT carburetors a lot. BBT Jerry and Frederik went knob frenzy lately and dug out all they could find… here already some results! 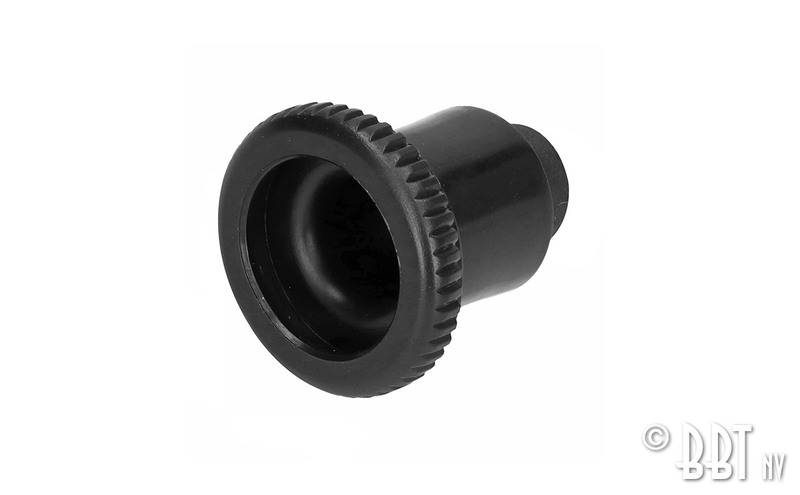 The short version of the fresh air knob you can find under BBT 0544-150 and the insert for the fresh air knob is available under BBT 0544-152. Furthermore Frederik and Jerry dug out the knobs for the light switches. Back in stock! The rear wheel brake cylinders for our beloved buses! Top quality made in Germany. With TRW Varga only will be produced in January 19 again, we decided to push the prices down from our German manufacturers and we got this result, we can supply now good German quality rear wheel brake cylinders at a real good price and most important, have them available. When our last manufacturer was hit by a flood a lot of his machinery has been destroyed. Unfortunately they do not want to start-up production again for a while. That forced us to search for a new supplier. 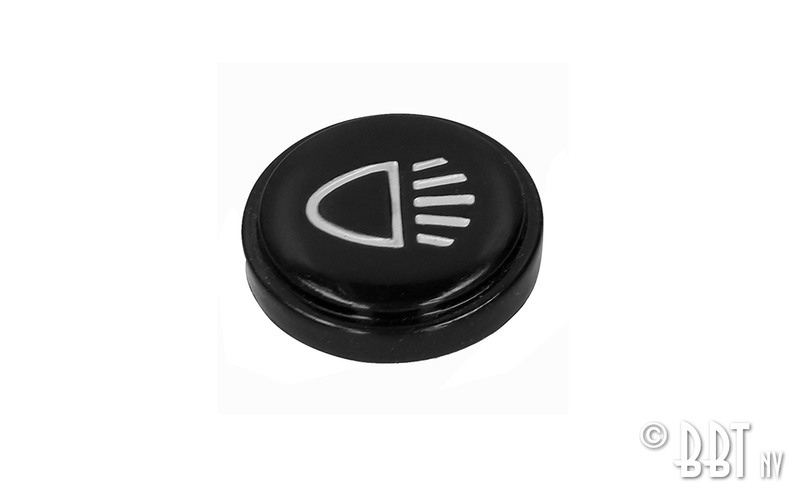 The factory that makes our valves for the last 10 years also brought the perfect solution. 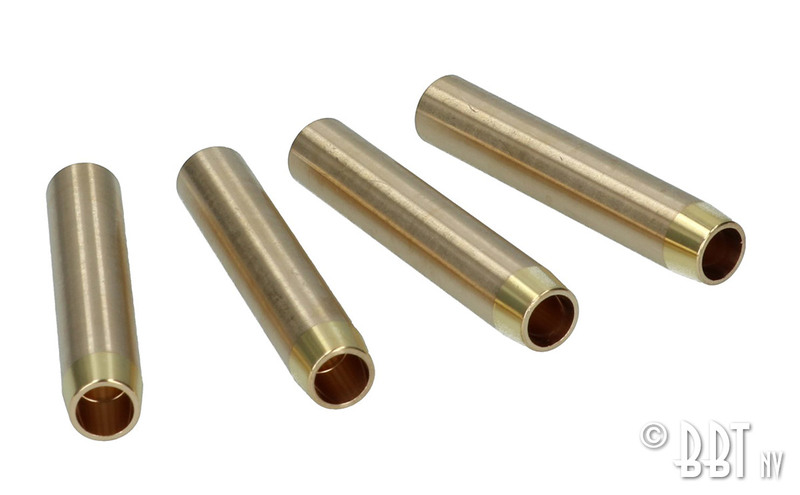 Our new supply of valve guides have a nicer finishing, very accurate measurements, made with high technology in Switzerland and best of all we can keep the low good prices as our old supplies! A better product for the same price!. 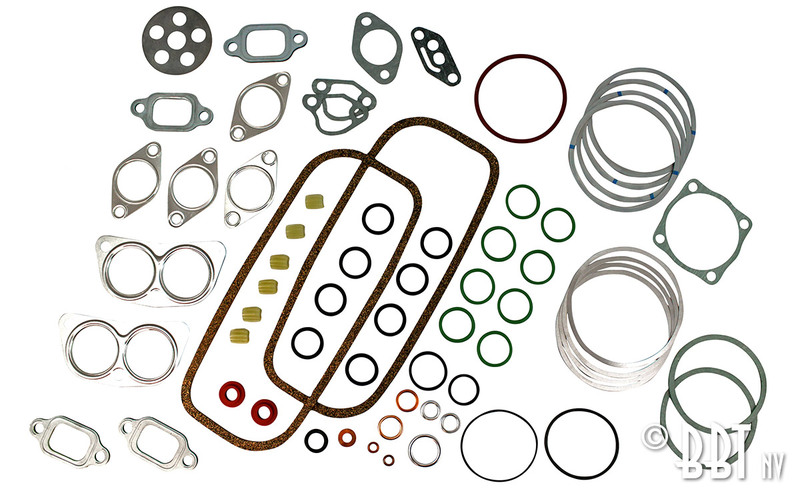 We also had a large delivery from one of our German gasket manufacturers, our Type 4 gaskets kits are all back available from our stocks! 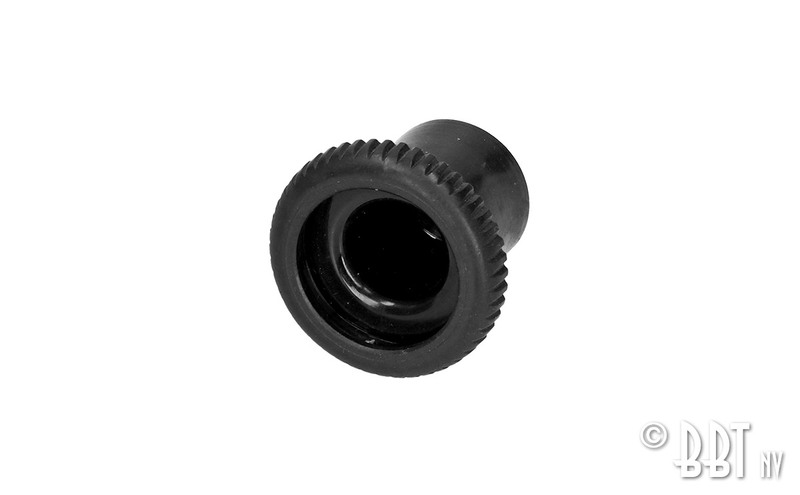 And last but not least… we come with a solution for the oil pump cover nuts. 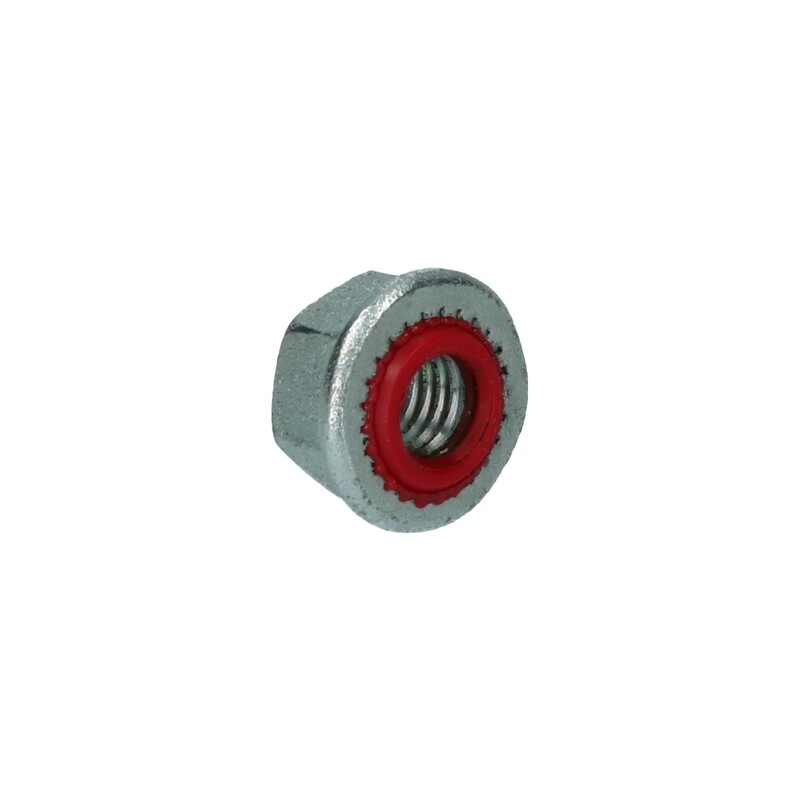 These nuts are very particular, because they need to tighten the pump and seal the studs off at the same time. Originally they came without collar just a straight nut, which is unfortunately unobtainable for the moment. We did real good and deep research and found the exact same nut, but with a small collar. The collar divides the pressure on the seal in the end, what makes a better spread out sealing, resulting in an even better product. We could keep “good old” prices what actually means we offer a better quality product for the same price. Very happy with such a nice BBT NEWS post we could inform you like it is supposed to be, as you can see and feel BBT is bursting, many many new products and developments will be released in the near future! We wish you all a very happy weekend and remember to enjoy the autumn colors for the time they last!